Since the introduction of Apple’s iOS App Store in the summer of 2008, the number of applications on iOS alone has risen from an initial 500 applications to millions in just a few years. Top platforms like Apple’s iOS and Google’s Android offer no end of applications for consumers to play games, look at pictures of cats, and message their friends. From day one, businesses have looked for unique ways to capitalize on the screen in their customers’ pockets. The ease of access in app creation is at an all-time high, meaning you may be one of the many businesses that are taking the leap and building an app to reach your customers. The question remains: How do you distinguish your brand, and make sure that your message is getting through the noise? While restaurant and retail brands, luckily, haven’t had to fight for their place on the home screen to the same degree as app developers whose creations could be replaced by the next iOS update (RIP, flashlight app), branded apps have taken an increasing portion of marketing budgets over the past few years, with no end in sight. But how is that return-on-investment being measured, and how can a brand tell the difference between creating a more effective way to communicate with their customers, and fragmenting their user base even further? One of the most common goals of mobile apps for brands is building a more loyal customer base. This is usually achieved by allowing customers to earn points or receive exclusive offers through your app only. The problem, however, is that loyalty apps released by brands typically only see an adoption rate between 10% and 20% of a customer base, leaving a huge portion of your customers out of the picture. Pair that with the fact that a recent study from Silicon Valley Analyst Andrew Chen showed that “less then 5% of downloaded apps are still in use after 90 days,” and you could be building a communication channel that not only fragments your customers, but also leaves a huge portion of them in the dark from your best deals, new offerings, and company updates. You need a way to reach the customers who didn’t download your app, or those who turned off push notifications and left it forgotten on the third page of their home screen. Luckily, a solution is emerging. This week, we were proud to have a presence at Mobile World Congress to showcase how we’ve been working with Google and their new Rich Communication Services (RCS) standard to improve mobile ordering and marketing messaging for Subway. While RCS may still be in its infancy, the possibilities are near endless, and the ability to pull many functions “usually confined to apps” within a text message could prove to be highly fruitful for brands. Currently, RCS focuses on finding nearby locations, mobile ordering, and delivering messages that include media-rich options and images. 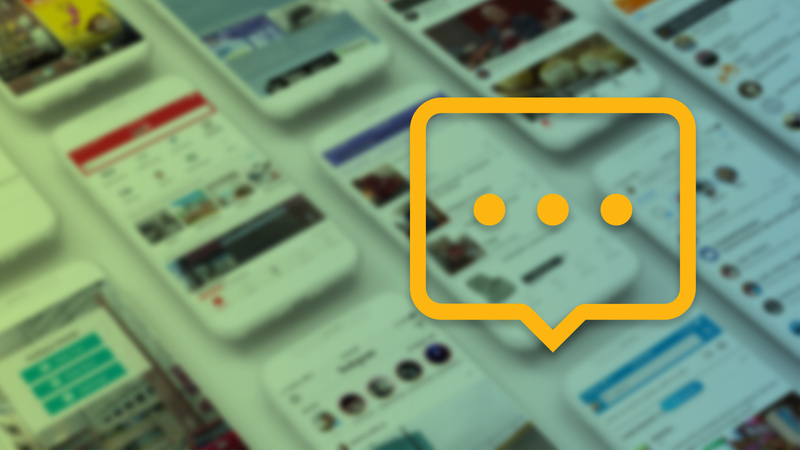 The prospect of an enhanced messaging standard could change the way that brands and customers interact with each other, all while delivering even more valuable insights on your customers. For the first time in brand messaging history, you could gather delivery and read receipts, allow users to interact with your brand through pre-programmed messages or display rotating images of that day’s chip selection — all within the text message application that customers are already using multiple times per day. Would an app help your business create more loyal customers? Almost definitely. You will be able to reach your most interactive customers right off the bat, and depending on how compelling your offers are, you’ll probably keep them coming back. But with the high costs that are associated with app development, and the decreasing adoption seen across the industry in recent years, the ability to create a rich, interactive experience from directly within the messaging app your customers already use multiple times a day is increasingly valuable as you try to reach them in a more connected world than ever.